Re-posting this today as the stations are a beautiful invitation to walk with Christ ..and one that in true Jesuit imagining I invite you to consider. If you possibly can, make time today to pray the stations as a community. 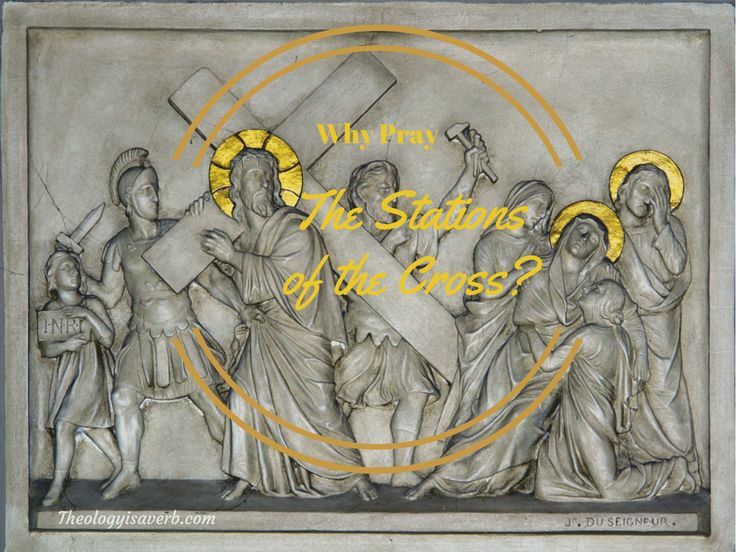 This past week as I accompanied my 4th grade students, from this past summer, for the Stations of the Cross I began to think…Why do we not do this more often? Here, we have been given this beautiful imaginative way to immerse ourselves in the story of the Passion of our Lord. More than merely listening we are asked to contemplate the scene, and walk in faith with Christ on the way to the cross. As we picture the faces of the crowd, the thoughts of the disciples, and the heart of Christ himself we glimpse the magnitude of the sacrifice of love that has been given to us. If you have never participated in the Stations of the Cross before, all are welcome, just call your local parish for the date and time. This is a graced pilgrimage and one that I hope that you too will make this Lent. The First Station: Jesus Is Condemned – Tried unjustly for crimes he didn’t commit, would we have spoken up for Jesus? Do I speak up for others? The Second Station: Jesus Takes up His Cross – Oh the sight of Christ beaten, crowned with thorns, and now asked to carry the cross! Do I seek to feel compassion for those carrying burdens? The Third Station: Jesus Falls the First Time –Would I have rushed to His side? Am I a source of strength for others? The Fourth Station: Jesus Meets His Sorrowful Mother – As a ‘sword piercing her heart’, the pain Mary felt to see her Son had to have been tremendous and yet she was there beside him. Do I meet others in their pain or only in joy? The Fifth Station: Simon Helps to Carry the Cross – Chosen because he was different, Simon was called upon to carry Jesus’ cross. What unique gifts do I have that could serve Christ today? The Sixth Station: Veronica Offers Her Veil to Jesus – This woman seeing a way to help Jesus, in turn leaves with his image on her veil and in her heart. Do my actions today bear the image of Christ? The Seventh Station: Jesus Falls the Second Time – Weak and weary, the weight of the cross with our sinfulness was greater than anything we have ever known. How does my own sinfulness weigh on me today? The Eighth Station: Jesus meets the Weeping Women – Jesus meets the women with a profound understanding of the pain our sin carries. Do I consider the effects of my sin on others though the things I do or fail to do? The Ninth Station: Jesus Falls the Third Time – Pushed and prodded on, there was to be no rest for Jesus on the way to the cross. Yet, we find rest in Christ who continually strengthens us and shares our burdens. The Tenth Station: Jesus Is Stripped of His Clothing- Humiliated and stripped of his dignity, oh how our Savior seeks for us to see the suffering of our most vulnerable. The Eleventh Station: Jesus Is Nailed to the Cross – What a cruel scene that lays before our eyes- and yet the love that is poured out as You take on our sins upon Yourself! Help me dear Lord to live this life in gratitude for your sacrifice, help me to love You and your creation as I should. The Twelfth Station: Jesus Dies on the Cross – Forgiveness You have given for those who sought to crucify you. Christ forgive me of my sins, and guide me to extend forgiveness to all I encounter in life. The Thirteenth Station: Jesus Is Taken Down From the Cross – Holding the body of her Son in her arms, we dare to imagine the loss and pain that Mary felt in this moment. In those times that I have experienced loss, do I rely on the strength of God and my brothers and sisters in Christ to carry me? The Fourteenth Station: Jesus Is Laid in the Tomb – As Joseph and Nicodemus lay Jesus in the tomb, joined by Mary the mother of Jesus and Mary Magdalen we imagine the stone that is rolled into place. For those times we too are asked to place our trust in the events of our lives, unknowing what is to come next we pray for guidance. The Resurrection – We know that this last station is not the end of the story- For Christ has risen and calls us all to a new life in Him! Let my life be a witness to his Passion and revealing of his love to the world!